Thanksgiving is a holiday for gathering with family, friends and neighbors. It is also the perfect opportunity for reflection and gratitude. Ahead of this week’s Thanksgiving holiday, we want to share a special message of appreciation. We offer our deepest thanks to all of the residents and homeowners in our communities across Maryland, North Carolina, South Carolina and Virginia. We thank them for entrusting us to create places they call home – our apartment, new home, master-planned, and senior living communities. 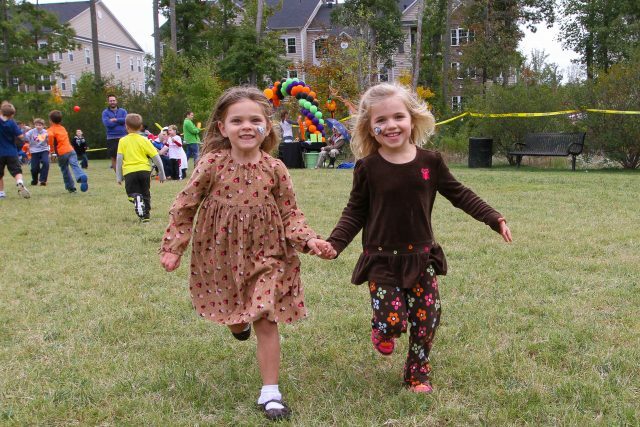 We love seeing so many homeowners and residents making lasting memories in our communities year after year. Our team members are truly amazing. They fulfill our vision to improve the world and how people live by creating meaningful experiences and places of great distinction. They inspire us with their kindness and generosity as they actively support meaningful causes in their communities. Our team members are the foundation of our success and growth! Another key component to our success is our trade and business partners. We are incredibly thankful for the strong relationships we’ve built over the many years of collaboration and hard work. We are thankful for so much! At HHHunt, we believe it’s how you live that matters every day of the year – but it’s especially important to us during the holidays. From all of us at HHHunt, we wish you a very joyous Thanksgiving holiday!